Both sociopaths and cult leaders engage in mind control. 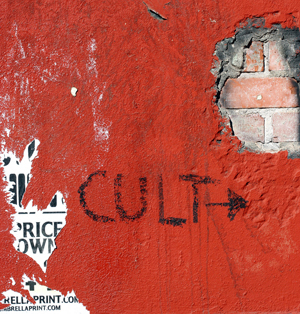 In fact, in many of the worst cases we hear about at Lovefraud, the relationships in which the targets have truly lost themselves, are actually cults. But these cults have only two members the leader and the target. If you’ve been involved in a mind control relationship, you have a brainwashed family member who cannot escape another’s grip (in fact, doesn’t even want to escape), you may be interested in an upcoming workshop. For more information, visit the ICSA website.